Upholstery loves attracting dirt, dust, germs, and bacteria that can be harmful to you and your employees. Stains are unsightly, but the unseen contaminants collecting in your office fabric can be much more dangerous. Upholstered furniture is a large investment for most businesses. 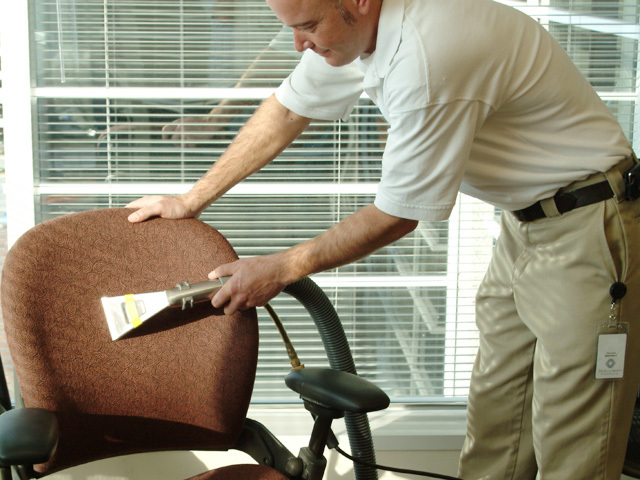 Our professionally trained staff has the expertise to clean and protect your office furniture, extending its life (and your budget)! With regular, professional cleaning, upholstery is easy to maintain. A regular cleaning schedule will keep your office dirt, dust, and contaminant free and extend the life of your furniture.